Run was the operative word for the housemaid as she scuttled down the backstairs — the grand main staircase was strictly out of bounds — opened the shutters in the family drawing rooms, raked out and re-laid the fires, blacked and polished the fireplaces, tidied up the mess casually made the night before, spread the carpets with damp tea leaves to remove the dust, swept up the tea leaves, then moved on to the ­dining room to repeat the process. And after that there was still the library, the smoking room, the morning room and the study; the tapestry room, her ladyship’s sitting room; all of them must be immaculate before the family awoke at nine o’clock. And when they came dow nstairs to start their day, the housemaid was back up the stairs to their bedrooms and dressing rooms to empty the slops from the chamber pots; clean and dust and make their beds. Finally, she carefully swept the grand ­staircase (the only time she was allowed to tread on it) and then, and only then, she had her breakfast. A long day devoted to cleaning had only just begun. In 1911, a national ­census counted 1.3 million domestic servants, against 1.2 million workers in agriculture and 971,000 in coal mining. There were no trade unions for domestic service. Throughout her day there were more fires to lay and top up, rooms to be kept spotless, always keeping one step ahead of the family’s unspoken needs, always, if possible, out of sight, so that they could glide from one perfect setting to another with not a moment’s thought, as if the rooms tidied themselves. Most country houses were vast! There was a room for every possible activity, and each must be pristine. It might be close to midnight before the butler signaled that the family — their every whim met from morning to night — had retired, and so could she and the rest of the exhausted household. Until five o’clock in the morning when it all began again. This housemaid might be the third or fourth of a bevy of housemaids. Each one designated a position within the servants’ rigid hierarchy that came with its own particular duties. The first housemaid was the most senior and it was she who had the privilege of assisting any of the family’s daughters now ‘out’ in society in dressing, and also ‘maiding’ a guest staying Saturday to Monday who had not brought her ladies maid. The second housemaid’s duties included taking early morning tea to the butler and housekeeper in their rooms, a servant to the upper servants. The third and fourth housemaids’ duties were restricted to domestic chores only; sometimes as young as fourteen these girls were usually in training and given the most monotonous and mundane of jobs; just one peck in the order above the scullery maid. Undoubtedly it was the scullery maid who was the most long-suffering individual below stairs. Penned up in a smelly scullery; bitterly cold in winter stifling in summer, she worked her way through mountains of washing-up. Lead-lined sinks were used for washing crystal and delicate china. A mixture of lye soap and fine sand to scour saucepans was cruelly hard on her hands. 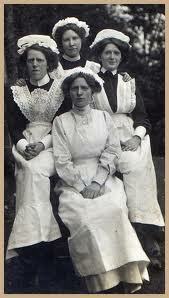 Scullery maids had to get up in the middle of the night to refuel the enormous kitchen range. They suffered from severe chilblains in winter and worked like mad to gain a position as a kitchen maid, promoted to assist in the kitchen peeling of mounds of vegetables, but anything was an improvement over the smell of drains and standing twelve hours a day on cold, flagstone floors. In charge of the female servants was the housekeeper, the voice of her mistress below stairs. In most households the cook and her kitchen maids answered directly to the housekeeper, as well as all the housemaids. The quality of life for a female servant in a country house depended entirely on the temperament of the housekeeper. The male servants, the footmen and the hall-boy were under the immediate supervision of the butler. And it was the butler who called the shots throughout the entire servants’ hall; their leader and the household’s major domo. His pantry was the command ­center below stairs. It was here that the best plate and glass were kept, under his lock and key. The butler slept in his pantry – the better to guard the family silver. 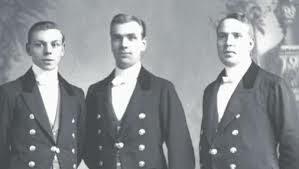 His footmen – all of them must be at least six feet tall, had rooms below stairs – far away from the girls lodged in the attic and to provide another layer of security to protect the house from interlopers and burglars. Housemaids, scullery maids and kitchen maids slept on the attic floor of the house. Two to a room, in some houses they even shared beds. Their rooms were furnished with the barest minimum with no regard to comfort: an iron bedstead and horsehair mattress, washstand, a chest to keep their clothes and pegs to hang their uniforms, a shared chamber pot under the bed. There was no lock on the housemaids’ bedroom door and the housekeeper or lady of the house might come into their rooms and check through their belongings at any time. One small window looking out onto the roof gave them some natural light, candles were issued by the housekeeper and there must be no neglectful waste. Housemaids rose when it was still dark, washed in cold water and dressed without benefit of light in their print dresses, usually gray, blue or lilac, their hair concealed underneath a white cap, their dresses kept clean by long heavy white aprons. At four o’clock in the afternoon they changed into a black dress and donned caps and aprons that were an excess of white starched frills. Once a week they were required to take a bath, usually on a Sunday – a tepid affair in a galvanized metal tub – it was only the senior housemaid who had fresh water and the privilege of the first bath. They all took turns, top to bottom and the poor old scullery maid bathed in something as unappealing as the water she washed the pans in all day. Rules for female servants were as rigid as the hierarchy they belonged to. They led lives of enforced chastity denied boyfriends; marriage to a fellow servant was out of the question if they wished to remain in service to the family. Breakages were deducted from their wages. They might not smoke, speak in loud voices above stairs, must flatten themselves face against the wall should their employers appear, and might not address the family unless they were spoken to first. If somehow they managed to get pregnant they were immediately turned out of the house without a character to join the ranks of the unemployed. Female servants who had lost their jobs because they became pregnant accounted for 60% of prostitutes in Edwardian England. 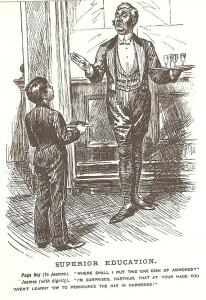 Page boy: Where shall I put this ‘ere dish of ammonds? 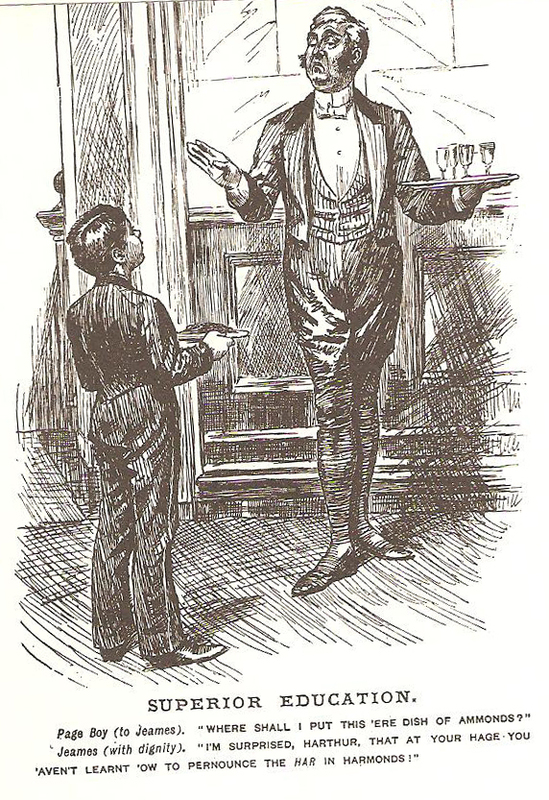 Butler: I’m surprised Harthur, that at your hage, yew ‘ave not learned to put the Har in Harmonds. In a time when everyone had a servant, there are horrendous descriptions of the sort of diet servants existed on that did little to fuel them for their long hours of labor. But in most country houses of the affluent aristocracy the servants’ food was plain, simple and plentiful and strangely enough ale was provided throughout the working day. Astute servants need not spend a penny. They could save all their wages, and many did just that. Service was not a last resort but much sought-after employment, especially with a family of consequence. Many servants took pride in working for the country’s elite, and there existed a tremendous entrenched snobbery among the top families’ servants often far greater than that of the family itself. By today’s standards theirs appears to have been a bleak existence with very little to recommend it! But there were planned outings and special occasions, even if to us they seem negligible and spare. Walking to the village church dressed in their Sunday best was a delightful change from the claustrophobic atmosphere of the servants’ hall and if the weather was inclement they were driven there and back in the estate’s wagons. They were given time off to watch the house cricket match between villagers and the male servants and family members of the house often with a picnic lunch laid on. They lobbed balls at the coconut shy and guessed the weight of prize vegetable marrows at the church fete in summer. At Christmas there was a servants’ hall celebration with roast turkey, all the trimmings and a tree. Gifts from the family were laid out under the Christmas tree in the great hall for residential servants and estate workers alike. Once a year some country houses even had a servants’ ball, and the family would attend for a few hours.